Were you thinking of replacing your old garage door with another that has paint flaking off after a year? If so, maybe you should think again. Roller shutter garage doors have plenty of benefits and are far more efficient in many aspects, hence why so many people choose them to protect their vehicles. Installing one will also cost you less in the long run, and that’s why we feel this practical and good-looking alternative is a must-have. Because they are made of thick corrugated sheets filled with foam insulation, they secure your vehicle and valuable belongings against possible thieves and vandals. These doors are too heavy to be lifted and due to the foam filling, so they’re pretty hard to be forced down. Auto-lock systems can also be installed to ensure that no intruders can enter when the door is completely closed. By reducing the danger of opportunistic break-ins, you can reduce your insurance premiums and save money in the long run. These doors are also available in many different colours and patterns. You can pick and choose according to your personal tastes. With a polished finish, the colour is more durable, whilst a matte finish may add a more unique style and require less upkeep because it doesn’t have to look glossy all of the time. Most doors have a paint guarantee up to 10 years, which reduces your overall costs in the future. If your house is up for sale, improving the exterior appearance can also improve the overall value of your house, so that’s a point worth keeping in mind when making a final decision. If you motorise and automate your roller shutter garage door you will be able to use it effortlessly. You don’t have to leave your car when opening the garage door due to its remote-control function. There is also no likelihood that it will close on its own, which makes it easier and less stressful to use. Altogether, it has a higher life expectancy due to its motor and remote control usage. Even if there is a power cut, there is no danger of failure due to the installed manual function. In summary, there are so many benefits to installing a roller shutter garage door for your home. It improves your home’s safety, exterior and overall enjoyment of your garage. That said, there are some other popular options today, and so many types of garage doors for sale, such as sectional and round the corner doors. 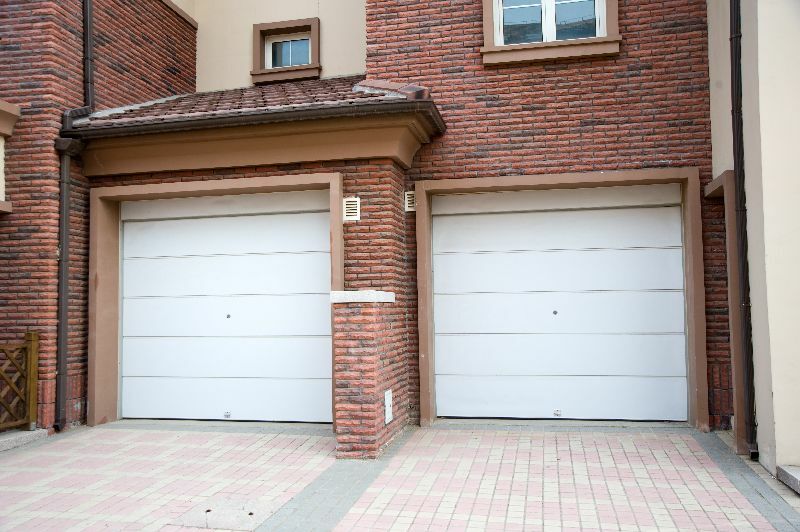 Both of these have been around for some time now, and like roller garage doors they can be automated, but you generally lose more space with round the corner doors because there has to be space for the door to wrap around the wall when it opens, and with sectional doors you lose more headroom than you would with roller shutters. It’s for these reasons we would pick roller garage doors, and as you probably know from looking up and down your street, many people do!